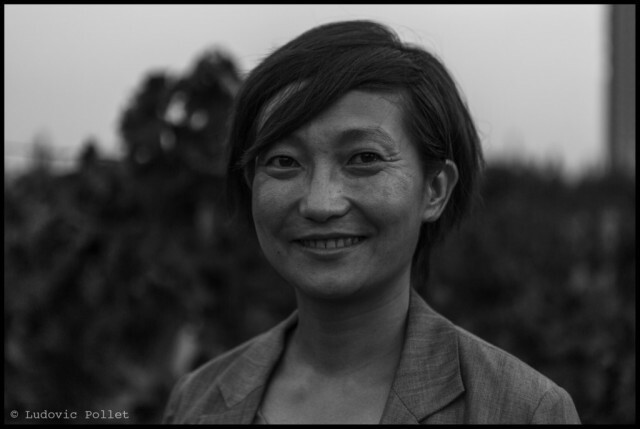 Emma Gao is the the winemaker of Silver Heights, a Chinese micro-vineyard, which produces only 40,000 bottles a year. WINE EXPLORERS: How did you become a winemaker? GAO Emma: It was my father who had the idea to make me learn oenology in France. For a better future in my career. I first started in Orange, then in Bordeaux, for a total of four years in France. The life style to the French and the cultural richness of the country impressed me. I loved studying at the University of Bordeaux, with internships in several key areas. As you know this school is very serious and the best teachers teach there. Their professionalism inspired me a lot. I went to China in 2004 to work as a winemaker in an area of the Xinjiang region. Then I worked in Shanghai on the sale of wine, for a more comprehensive approach to the wine business. WE: How did the Silver Heights area? EG: During the three years I worked in a vineyard of industrial size, I realised there was very difficult to make quality wines. I was discouraged and angry and I talked to my father. On the phone he told me to go in Ningxia, and that we would buy tanks and build a small cave for me to make the wine I wanted to do. My parents had a parcel of land less than a hectare where they cultivated the vine, fruit and vegetables, where they lived. I was so happy to start our own wine here! In 2007, our production has been recognised by wine lovers of Chinese and foreign professionals. 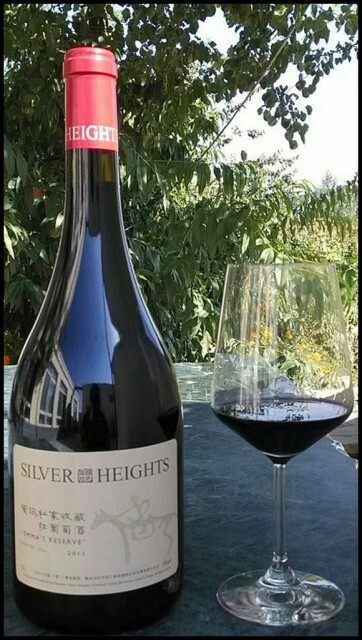 In 2009 Torres China, our distributor, helped us both find the name Silver Heights but also to the marketing and promotion of wines in major hotels and restaurants in China. WE : Why Silver Heights area he almost disappeared recently? EG: There was even a few years the campaign here. Now we are surrounded by buildings. And unfortunately a local developer wants to take our land to build a park here with a residence. Because in China each land remains the property of the Government. The Ambassador of France, who had come to visit us during his visit in Ningxia, found that we had a little bit of paradise in the middle of preserved the city recognised that Silver Heights was primarily a model wine cooperation between France and China. He wanted to support us and therefore wrote a letter to the mayor of Yinchuan to convince him to keep a piece of the park for us to construct a wine museum for the reception of visitors. With very thoughtful letter Ambassador of France, we could keep some of our field, where the history of our 1 st vintage began. A happy ending! Vintages 2012 & 2013 Silver Heights will also be aged here. WE : What is this draft wine cellar in the mountain that you develop? EG: At the beginning we started with 10 barrels only for family and friends. And each year we grew a little more, because the wine began to have a good reputation, which was unexpected! Then with my father we decided to go on a stable development, we found a lot in the mountains and we planted new vines there; 40 hectares in total. We have built a larger basement, mountain flower. We are helped by the French architect Philippe Mazier, who had already had some great ideas to draw the domain Silver Heights . It is he who will also plans to transform our old farmhouse in the wine museum. WE : What makes Silver Heights one of the most areas for China today? EG: Our vines 16 years have always been carefully maintained by my father. Altitude of 1200 m, the sunny, dry wind and the Helan mountains that protect the vines offer a very healthy environment to produce quality grapes and make wine. The temperature difference between day and night is greater than 20 degrees here, which is a plus for the maturation of phenolic compounds. And above all the wine we produce reflects the terroir of Ningxia in which we are virgin all diseases and very pure. Now, with the new French rootstocks that we just planted I think it will become even more quality in the future. WE: But Ningxia is done to extreme viticulture, why? EG: While we’re on the same latitude as Bordeaux, the climate here is continental. We are in a very dry desert region with annual rainfall of just 200 mm, compared to evaporation of 1600 mm! A real problem that requires us to irrigate a reasoned manner, drip. The advantage of such an environment is that none of the vine disease can develop there; we therefore use any pesticide. The temperature difference is great between summer and winter: 37°C to -25°C. It is therefore necessary to bury the vines in winter, which has the effect of reducing the growth cycle. WE: Can you tell us about your different wines? EG: We select only the best grapes for winemaking of Silver Heights , raised in oak barrels between 12 and 16 months, in accordance with traditional methods, without filtration. Three main wine: ” The Summit “, a wine made for the care, cabernet franc, cabernet sauvignon and cabernet gernischt (2). And ” Family Reserve “, a fun wine for everyday consumption. Finally we have a last label, ” Emma’s Reserve “, our upscale. A wine that is only in great vintages. Our second brand, Enchanted Valley , is developed with the rest of the grapes once the sorting done. This is a wine for everyday consumption and sold regionally. WE: Where Silver Heights wines are sold? EG: Torres China is exclusively distributing our wines. With Torres, we are present in the most prestigious restaurants and five star hotels in China, Shanghai, Beijing or Guangzhou. WE: Where are the meeting and the particular relationship between you and Torres? EG: I am very lucky to have worked in the team of Torres China in 2008-2009 as training manager. The Director General, Alberto Fernandez, discovered at the time our first wine was then barrel aging. He found it very good and a passion, took over the packaging, marketing and press relations. And Damien Shee, CEO Torres Beijing has also invested a lot of passion to reference Silver Heights in large restaurants, constantly organising events to promote the brand. In Torres, they say they are above all “investors emotional “. They just wanted to help us as a small area and make the dream of my father and me to become a reality. Torres China exclusively represents family estates worldwide. And they believe that family estates to successfully quality over the long term. Torres helps in many countries such as Chile, China, Russia … for the protection of the environment and helps local production. WE: How do you change the wine in China in the coming years? Follow the Wine Explorers’ adventures on their website, Facebook page and blog.